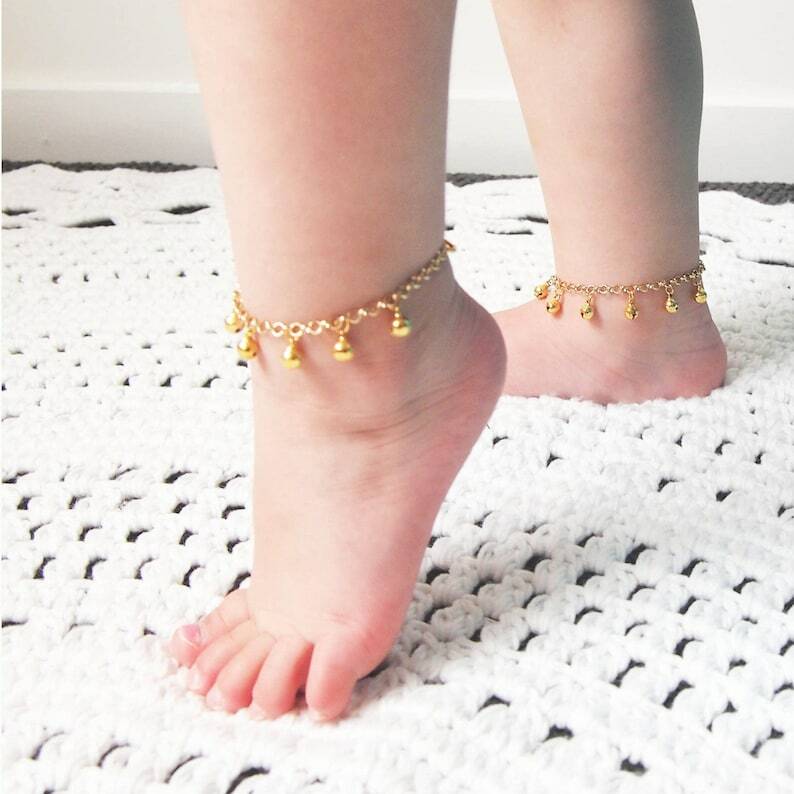 This baby anklet for girls and boys is perfect for first birthday gifts or Christenings. Sturdy rolo chain adorned with shiny bells that emit a soft twinkle. Babies learning to walk, love the sound that can be heard with every jump and bounce. 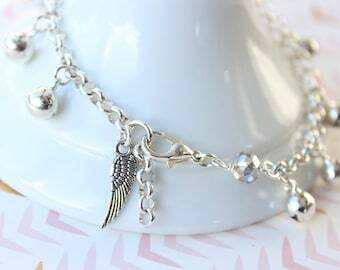 Hand assembled and made to order with sturdy rolo-link chain for durability and versatility, clasp to any link for your most comfortable fit then readjust as your little one grows, then can be later worn as a bracelet. 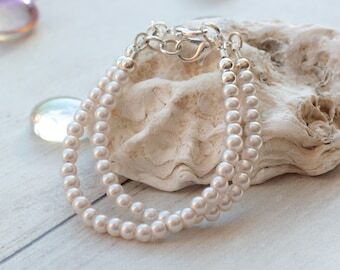 ♥ Give a unique gift for any occasion - birthdays, weddings, christenings, baby showers and more. 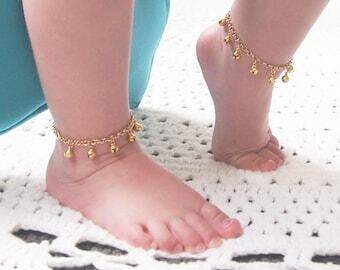 Traditionally bell anklets were given to newborn boys and girls to protect them from evil spirits. 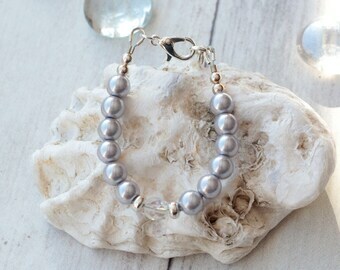 As they grow it can later be worn as a bracelet. 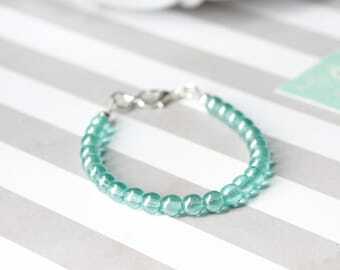 ♥ For optimum fit please measure before ordering. Measurement listings are for ankle sizes approximate to age. ♥ If you've read this far - you are awesome! 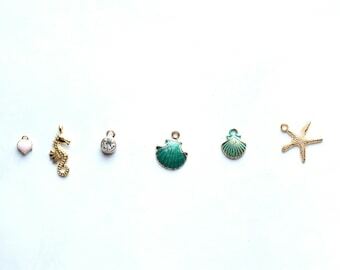 Please apply code TAKE10 at checkout to get 10% off your order! 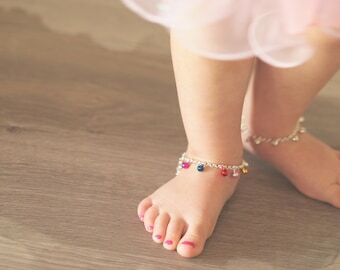 I absolutely love these on my daughter, lets me know where she is at all times. So beautiful!! Perfect. It was shipped so fast. Will definitely order from this shop again.